HaasOnline brings you by far one of the most advanced automated trading software solutions currently available. This is a company with an excellent reputation, known for constantly improving its software and keeping a close eye on the latest trends and customer desires. Find out more about its offer in this comprehensive HaasOnline review. 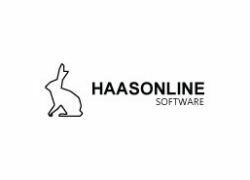 HaasOnline Software has been around since January 2014, when it was founded by Stephan de Haas. 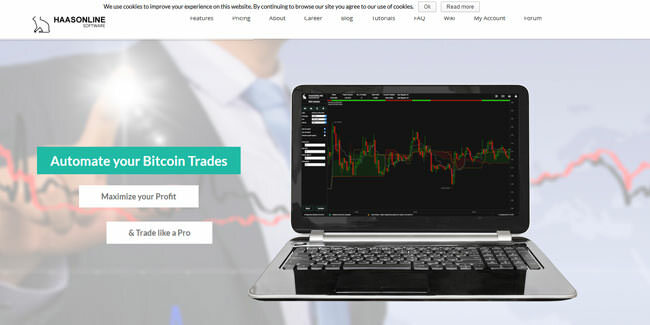 Its automated trading software is developed in accordance with the desires and needs of its users, with new features developed and introduced on a regular basis. The company’s innovative approach is reflected in the abundance of supported indicators, a variety of custom bots, and other powerful, advanced features that have won over a large number of professional traders. The company’s diversified offer is designed to accommodate the needs of even the less-experienced traders, thus allowing a wider range of users to make a profit. HaasOnline is a subscription-based service, with different licenses tailored to various user needs, budgets, and aspirations. The software supports over a dozen of major cryptocurrency exchanges, works on major operating systems, and supports nearly 50 different indicators. For a full view of safeties, insurances, and indicators available with HaasOnline licenses, please see the Plans & Pricing section of this HaasOnline review. No matter which license you opt for, you have 4 bot types at your disposal: trade, arbitrage, order, and script bots. Trade bots are highly customizable standard bots used for trading. They can be programmed to trade based on the indicators of your choice, with the possibility of using a combination of indicators for generating solid trace signals. They are protected by a number of safeties and insured for the purpose of covering the costs/fees. The role of arbitrage bots is to identify the price changes on the market, recognize favorable circumstances, and buy or sell accordingly. Their primary purpose is to allow you to profit off the price difference between a vast range of cryptocurrencies. Order bots are designed in accordance with the keep-it-simple principle. They are extremely customizable and allow you to fill them with pre-orders and program them to execute trades at the moment when the desired prices are reached. You can also program the bots to only send out particular orders to an exchange once another order has been triggered and allow them to process orders within a designated time period. Script bots are designed to satisfy the needs of more experienced programmers, allowing for complete customization. They are fully programmable and can be designed to fulfill any role the programmer chooses. Script bots are created using HaasOnline framework, so there is no need to write bots from scratch. The behavior of the bot is defined by C# programming. HaasOnline offers a number of other custom bots, including scalper bot, flash crash not, intellibot Alice, and market making Bot. Basically, the software allows you to achieve full automatization while preserving full control. The software can also be run on a local network or VPS. 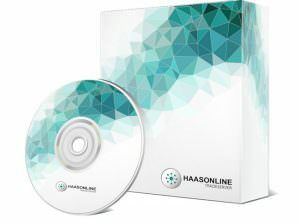 HaasOnline offers 3 types of licenses, including Beginner, Simple, and Advanced. All licenses come with web server interface, backtesting, and autotuning included, as well as API access. Once you choose the type, you can decide whether you wish your license to be active for 3, 6 or 12 months. The Beginner license allows you to run 2 trade bots, 2 arbitrage bots, 2 order bots, and 2 script bots. It comes with safeties including Static Drop-loss, Static Roof-out, Static Roof-in, Last Buy Price Drop-loss, and Last Buy Percentage Drop-loss. Indicators available with the Beginner license include Price High/Low, Price Change, Price Percentage Change, Stochastic Oscillator, RSI, MA, MA-Histogram, MACD-Histogram SMA, MACD, MACD-Histogram, Earning of Percent Trade, Weighted Moving Average, EMA Swing, and SMA Swing. Beginner License insurances include Overcome fee costs, Only allow sell at double fee-costs, Never Sell Cheaper, Minimum price change, and Minimum percentage of price change. The price of the license is 0.09 BTC per 3 month period. With the Simple license, you can run 3 trade bots, 3 arbitrage bots, 3 order bots, and 3 script bots. The Simple license includes all safeties, indicators, and insurances available with the Beginner license. Additional safeties available with this license include Dynamic Drop-loss, Dynamic Roof-out, Dynamic Roof-in, Reset Last Buy, and Sell Price After X Minutes. Additional indicators available with the Simple license are Price Push, Aroon, Coppock Curve, Aroon Oscillator, Ultimate Oscillator, Ulcer Index, Regression Slope Cross, Commodity Channel Index, Ichi Clouds, FastRSI, SlowRSI, Weighted RSI, Bollinger Bands, Parabolic SAR, Up Down RSI, Keltner Channels, Donchian Channels, Bollinger Bands %B, Fractals, Small Fractals, Chande Momentum Oscillator, Balance of Power, TRIX, TRIMA, KAMA, and Candlestick Pattern Indicator. Additional Simple license insurances include Disable on Losses After X trades, Cancel Order After X Minutes, Sideways Trend 1, Sideways Trend 2, Sideways Trend 3, Volatile Trend 1, Volatile Trend 2, and Volatile Trend 3. The price of the license is 0.16 BTC per 3 month period. 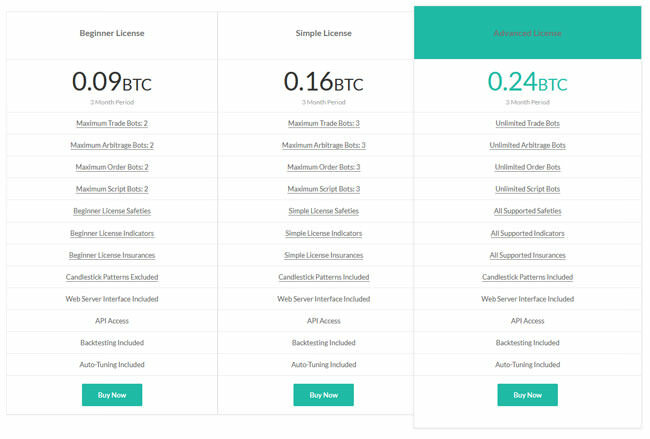 The Advanced license comes with no limits on the number of trade, arbitrage, order, and script bots you can run and it includes all supported safeties, indicators, and insurances. Apart from the safeties available with the Simple license, it also includes Force Bot to Sold Position and Force Bot to Bought Position. Additional indicators include Price Dynamic High/Low, Elliot Wave Prediction, Fibonacci Retracements, Connor’s RSI, Awesome Oscillator, and Williams %R. Additional insurance available with the Advanced license is Avoid buy/sell walls. The price of the license is 0.24 BTC per 3 month period. In order for the software to work, administrative permissions are required, as the software runs a local server to broadcast a Web Interface and its own API. Nonetheless, administrator access is only necessary for the local web server and your security is always preserved. The cookies on the HaasOnline website are used for managing the signup process and general administration and they are regularly deleted. Upon testing the HaasOnline automated trading software and familiarizing ourselves with all aspects of the service, we can only conclude that it is one of the top choices currently on the market. It offers both novice and professional traders a world of possibilities and can be an extremely powerful tool, as long as it is in the right hands. I can personally confirm that HaasOnline is one of the best options for professional traders. Maybe it’s a bit pricy, but you it’s more than worth it. Surely isn’t the best choice for everyone, but it’s excellent software for experienced users. Too expensive and complicated, would not recommend it to anyone who isn’t seriously into programming. I think that even more people would use HaasOnline if there was a trial, this way it is probably too big of an investment for most people who are not aware of the benefits.